This vigorous, self-clinging, variegated Persian ivy has heart-shaped, mid-green leaves splashed with yellow. 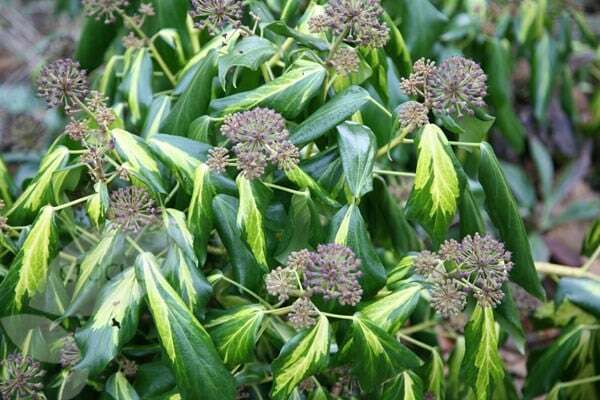 As it matures, the variegation of the foliage becomes more pronounced. It is a handsome, self-clinging, evergreen climber suitable for brightening or covering a shady wall or as fast-growing groundcover. Mature plants bear large, spherical green flowers in autumn. It is particularly suited for planting in areas recently cleared of builder's rubble since it prefers alkaline soil. It works best in fertile, moist but well-drained, alkaline soil. Garden care: Water specimens grown as houseplants regularly during the growing season, providing a balanced liquid fertiliser each month. Keep moist during the winter months. Plants may be pruned at any time of the year to keep within bounds. I am using this to climb a shaded wall and add some very needed variageted foliage cover...the leaves are large and flamboyant like Ivy from dinosaur times!!" Hi I am looking to plant an evergreen climber. Fast growing that will cover an ugly fence on the shade side about 75ft long. Would the persian ivy be ok for this? Will it self cling to the fence and how many pots would i need approximately? I am fairly new to gardening so any advice you can give would be appreciated. Thanks in a advance. Hello, Yes, this sounds ideal for the spot you have in mind - and it is self-clinging. As for planting distances, this will depend on how impatient you are. 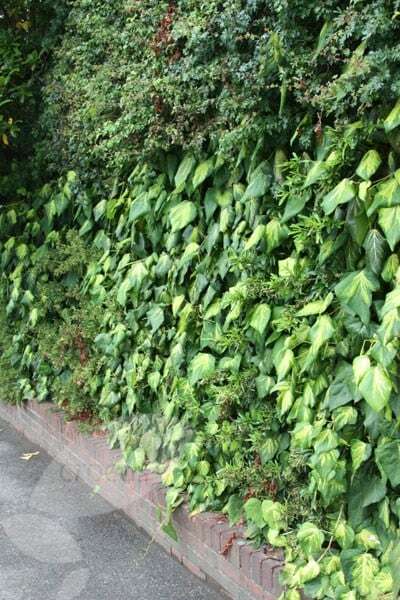 Each plant has the potential to grow to around 15m, so in theory, you would only need to plant 2 to fill the space, however you could plant them as densely as one per metre if you want a more immediate effect. 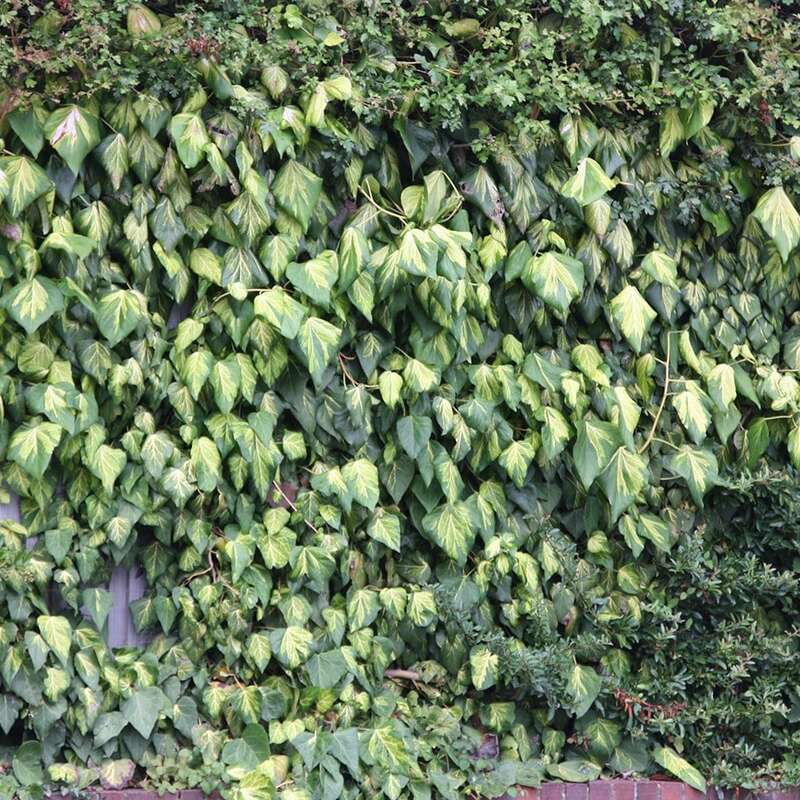 Hello, There is always a big debate raging about whether or not these plants help protect or in fact may damage a wall, as they do attach themselves to it. My feeling is that if the wall is sound (particularly the mortar between the bricks), then they will not cause any harm, but if the wall is flaking and the mortar loose, then they can pull this away.